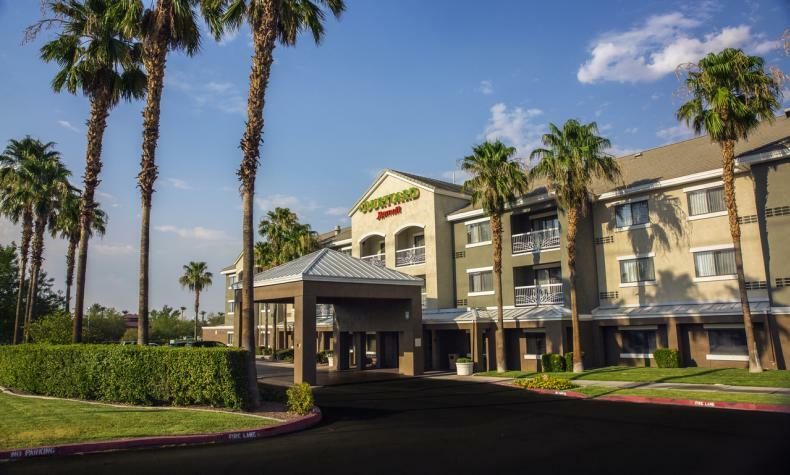 In the heart of the Green Valley, this Courtyard by Marriott hotel has all you need for the workday ahead. Guest rooms and suites are perfect for business travelers, with a comfortable sitting area, large desk, free high-speed internet, two phone lines w/data ports, and in-room coffee service. Meeting rooms have Wi-Fi and a 24-hour front desk with fax and copy machine. Enjoy a heated pool, hot tub and exercise room. An on-site restaurant serves breakfast. Shopping, entertainment and dining are nearby.